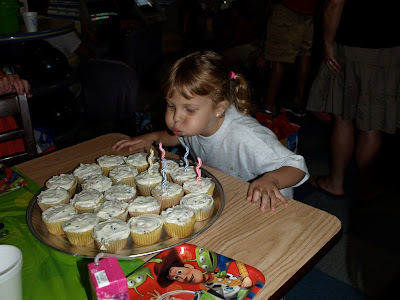 Although it seems like forever ago... not quite a month ago Zoe turned 5. 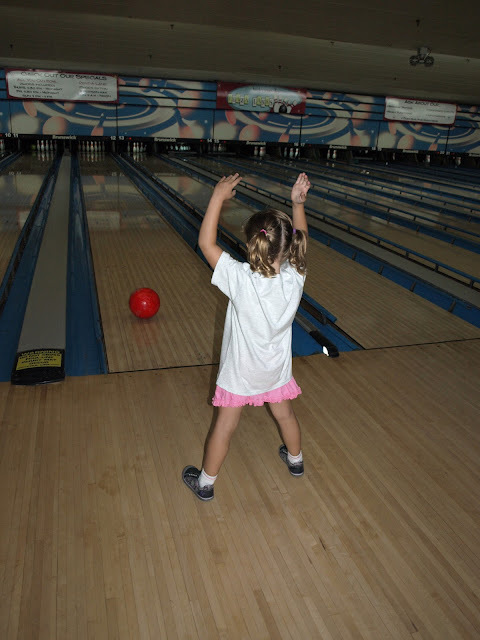 She just about begged for a bowling party. I tried to convince her to do something else (I don't know why) but she stuck to her guns and the girl had a bowling party. And do you know what? 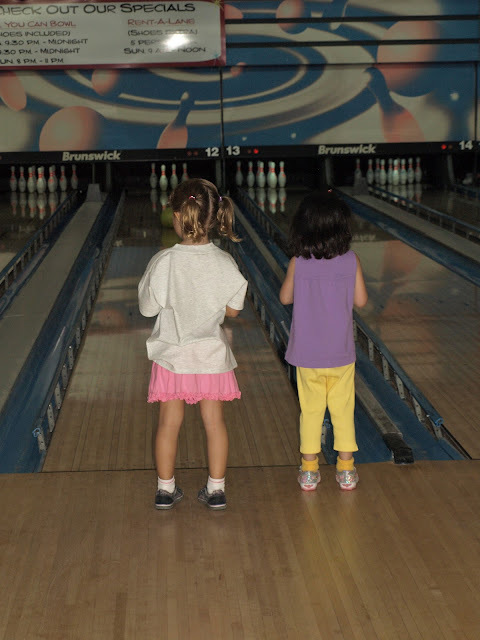 4 and 5 year olds LOVE to bowl. I think every single one of those dozen kids had a blast. I don't know that any of them paid attention to score. I don't think anyone knew who "won". No one cared. Every single one seemed to have a blast. 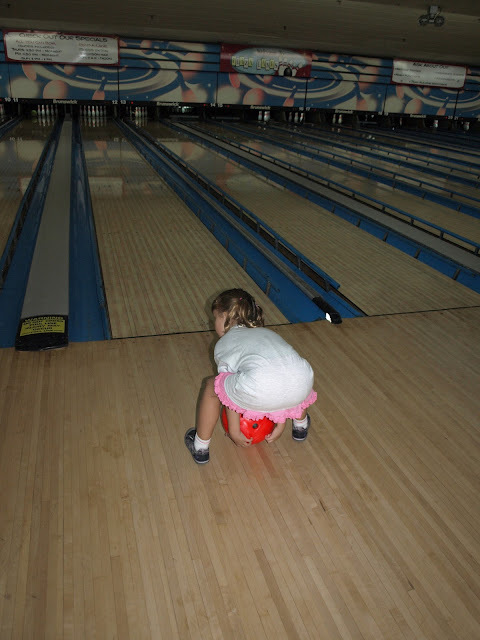 One thing is for sure... 5 year olds have AWESOME form. 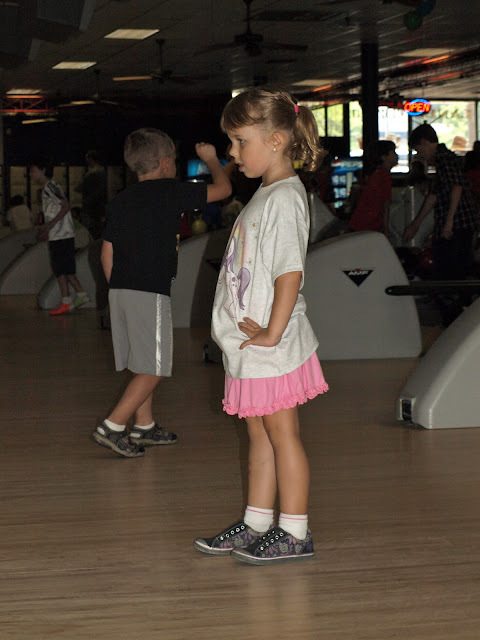 5 year olds enjoy doing a little dance while their balls makes it's way down the lane. 5 year olds can be VERY serious about their game. 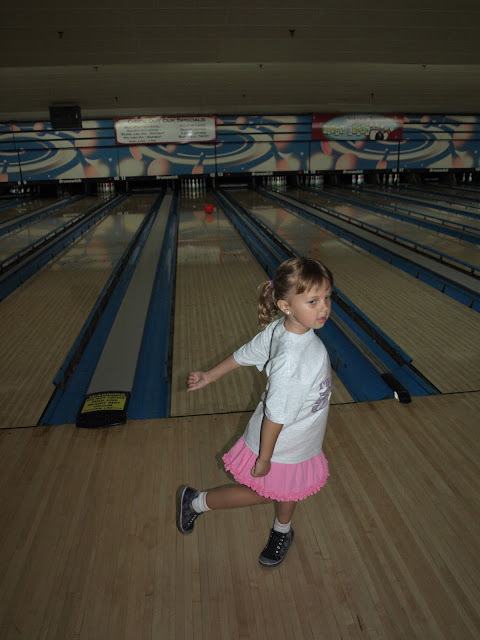 And, 5 year olds have AWESOME bowling attire. And just because I think it's funny... Zoe could very well end up being an amazing trumpet player just like Dizzy Gillespie. I mean... check out those cheeks! At the end of the day... bowling was a success. I had one smiley girl to prove it!